What Are the Requirements for Conducting Legal “Random Drug Testing”? Today it is quite common for employers to have random drug testing policies and procedures in place for their employees and staff. In most cases, employees must be willing to submit to and pass a pre-employment drug test and then agree to additional random drug screening throughout their employment with the company to help ensure a drug-free work environment. However, in most cases, the employer usually needs to have at least some level of suspicion before requiring an employee to submit to drug testing. And while marijuana is now legal in several states, it is still illegal on the federal level, which can complicate things for some employers. This means that employers can still require testing and set consequences for employees who test positive for marijuana use. These consequences can include enrolling in a rehabilitation program, loss of benefits, and even termination. However, for an employer to conduct legal random drug testing there are several steps they must follow. As an employer, it falls upon you to create a written “drug-free workplace” policy that provides you and your employees with legal protection. You must provide a copy of this document to each and every employee for them to refer to at any time. They must sign and date a copy of the document providing proof that they have both read it and understood it before you place it in their personnel file. There are currently 14 states with laws in place that require employers to provide current and potential employees with a written drug testing policy. There are also two states who require state approval of any written drug testing policy before it is put in place. For such a policy to be legal, an employer must offer each potential employee a pre-employment drug test. Any potential employee who tests positive must have their offer of employment canceled, no matter how well-qualified they may be for the job or how badly you, as an employer, need them. There are five states that allow only a post-hire drug test, and one that does allow a pre-employment drug test, but only if it is part of a comprehensive pre-employment physical. Again, a positive test result must result in the cancellation of the job offer regardless of the company’s need for their employment. The policy must include a statement like “Employment subject to passing a drug test” or “We drug test all new hires” in any form of help-wanted posting. There is one state in which the law requires potential employees receive a ten-day notice of intent to test for drugs. In order to cover yourself legally, signs stating, “We Are a Drug-Free Workplace” or something similar must be posted at the parking lot entrance for your building and in the lobby, break rooms, and above your employees’ time clock. Signs like this should also be put in places where potential employees will be able to see them. Laws in at least two states require the conspicuous posting of these signs to ensure every potential and current employee is fully aware of your drug testing policies and procedures. You must also circulate substance abuse prevention materials such as pamphlets, flyers, and videos to your employees and supervisors/managers on an annual basis. Experts recommend you include a flyer that covers the fact you are a drug-free workplace and maybe even include a few drug abuse facts in your employees’ pay envelopes or with their payroll statements at least once per calendar quarter. Again, constant reminders are key to protect yourself legally when it comes to random drug testing. To remain in compliance, you must randomly test at least 50 percent of your employees each year. Depending on how many people you employ, you should select and screen a percentage of them at least once a month, though once a week is a better policy. 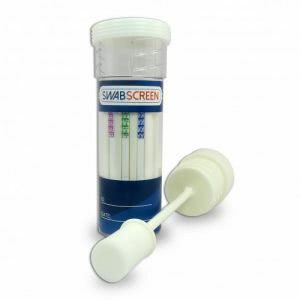 In the event an employee displays unusual behavior, erratic outbursts, or shows physical signs of drug abuse that affect their job performance, it should be clear that he or she will be subject to a random drug test immediately to ensure the safety of your other employees and protect the sanctity of your drug-free workplace. Not everyone has the training necessary to be able to recognize when a person is operating under the influence of drugs. Therefore, it is your job to provide all personnel in a supervisory or managerial position with annual substance abuse awareness training to maintain their level of awareness. This will help them be better able to recognize the signs and symptoms of drug abuse if it is necessary. These courses will also teach them how to isolate such employees to reduce the risk of a workplace problem before it becomes serious. In the event one or more of your employees is involved in a workplace accident that involves significant damage, serious injury, or loss of life or property, each employee must immediately be required to take part in a drug test. There are currently at least 40 states where an employee can be denied workers’ compensation rights if they test positive for illegal drugs. On top of this, most of these states will also deny unemployment compensation to those who test positive. Immediate testing following the incident is key. You should use labs that have been federally or state certified for the analysis of all urine specimens. There are five states and one U.S. territory where all parts of the drug testing process follow U.S. Department of Transportation testing guidelines. Should an employee’s initial drug test come back positive (even those tested on site using testing kits), the specimen must be used for a confirmation test to ensure the original result was not a “false-positive.” This additional testing is done to protect both the employer and employee. Your company should have access to a medical review officer that can be used in the event an employee tests positive. Confidentiality cannot be compromised in any way. It is the employer’s job to take any necessary steps to maintain the confidentiality of all employee test results. Only those who have a “need to know” should have access to final drug testing results. These results must be kept securely locked away when not in use by the appropriate personnel. The final step in making sure your workplace random drug testing policy is legal is to make sure that no matter who the employee is, from the newest hire to the most senior member of management, all drug-free workplace policies, procedures, and punishments are applied fairly and equally across the board. No exceptions. While all of this might seem very complex, the basis of it is that it is your responsibility to establish your drug testing policies and procedures from the beginning, inform all current and potential employees about the policies, provide updated and regular training, and ensure that every facet of your drug-free policy is acted upon fairly for all employees. If you follow these simple steps, your drug testing policy will fall within the auspices of the law. Be sure to always check your local and state drug testing policies to ensure your policies are in full compliance. Remember, when it comes to random drug screening, you can never over communicate or over train your staff.